Modern mirrorless cameras may be able to match or even exceed the performance of DSLRs, but the smaller category has a more limited number of lenses, particularly at the longer focal lengths. But Sony is working to narrow the gap with the company’s first large aperture super telephoto for E mount mirrorless bodies. 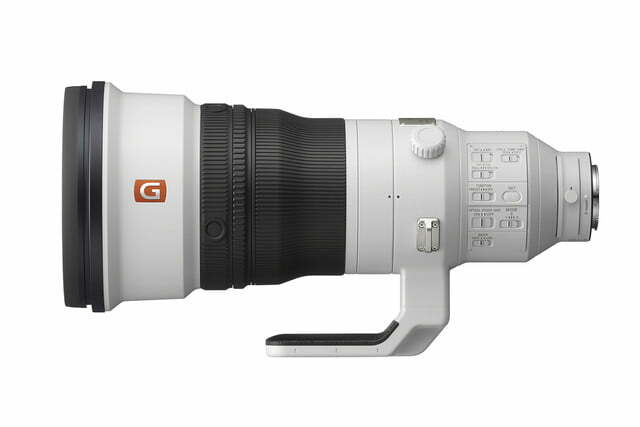 Unveiling the full details on Wednesday, June 27, the Sony FE 400mm F/2.8 GM OSS is a telephoto beast at over six pounds, yet boasts a lighter body and better balance over similar lenses. Sony first teased the lens last year but has now shared full details on the super telephoto, which will begin shipping in September. Designed for professional sports, wildlife and nature photography, the lens is designed with fewer glass pieces toward the front, allowing for a better balance when mounted with a mirrorless body. The lens also uses multiple parts constructed from magnesium alloy to further reduce its weight. Besides feeling more balanced in the hands, Sony says the better balance also allows for easier panning. While the optics are arranged for better balance, Sony says the lens still delivers sharp, detailed images even in the corners. The lens uses three fluorite elements, which reduce chromatic aberration, and Nano AR coating to cut back glare. The lens also uses an 11 blade aperture mechanism. Optical image stabilization is also built in. Designed for use with the likes of the 20 fps A9 and other high-end Sony bodies, Sony worked to develop a focusing system that could keep up with that speed. The lens uses two Extreme Dynamic Linear Movement Motors for autofocus, which the company says results in fives times faster performance than the existing 300mm f/2.8 G series lens (which is an A mount lens that can be mounted on the A9 with a mount adapter). While the 400mm doesn’t need that adapter for E mount bodies, the lens is also compatible with 1.4x and 2.0x teleconverters from Sony for additional reach. Those optics and autofocus motor are wrapped inside a dust and moisture-sealed body. The super telephoto profile also means plenty of room to add multiple controls to the lens, including a function ring that can be custom set, a first for the company. The lens also houses four focus hold buttons that are also customizable, a manual focus switch and a linear response focus ring. 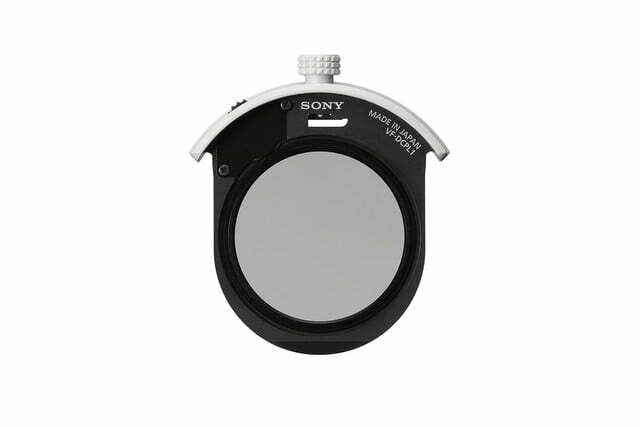 At the front of the lens, a drop in filter slot accommodates ND filters and an upcoming circular polarizing filter. Sony also announced a firmware update for the Sony A9 that includes compatibility with the new lens. The new firmware isn’t all about supporting the new lens, however — low light autofocus has been improved, autofocus tracing enhanced and lag shooting reduced. The update also allows the camera’s serial number to be written to the images’ EXIF data. Super telephoto lenses tend to be pricey, and so do wide aperture optics — the lens with both is set to retail for about $12,000. The circular polarizer designed for the drop in filter ships a few months later in December for around $400.